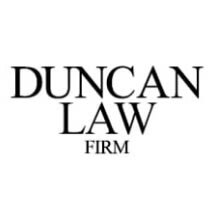 Our areas of practice are designed to meet the needs of clients who have been hurt, injured or otherwise wronged by individuals or companies. Whether you have suffered a harm resulting from a motor vehicle accident, the negligent or intentional acts of others, premises or product liability, we are seasoned attorneys who will fully promote your claim. We also meet the needs of clients who incur financial losses due to the failure or individuals or companies to fulfill their obligations. This includes collection of unpaid bills, recovery from employers and recovery from contract disputes. Frontier Title Company was established in 2002 to serve the Baton Rouge metro area in real estate transactions. Since that time, Frontier has expanded its services and now conducts real estate closings on a statewide basis. At Frontier Title, we recognize that, whether a first time homeowner or a sophisticated investor, the people we serve are engaged in a very important and significant event in their lives. Our motto, "Helping Old Friends Reach New Frontiers," means that, in all that we do, we convey to the client our understanding that the real estate transaction being perfected is important to them. Accordingly, we strive to make the entire closing process a relational event that culminates in a successful and smooth closing. Frontier Title Company has recently taken steps to reach out to the Spanish speaking people of our community. We have recently been joined by an attorney who is fluent in Spanish and who can assist our Spanish-speaking clients in all phases of their real estate transactions. We also provide the resources of a full civil law practice; often essential to the closing process. Simply put, we can be a one-stop-shop in regards to any special needs our clients may have. We are locally owned and locally managed and, at Frontier Title, we believe in building our business one relationship at a time.